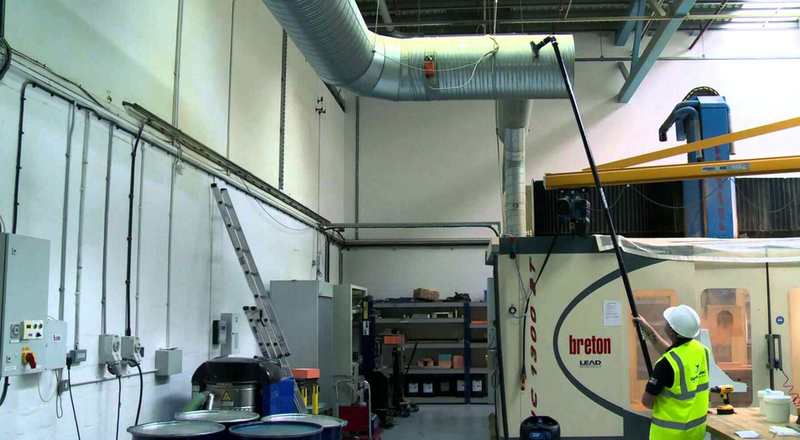 Reach Cleaning operates with the world’s leading manufacturer of high level vacuum cleaning and inspection systems. Not only can we Reach your gutters but we can Reach all of those places inside your building that have potentially been left untouched for years, whether it be spiders webs in your office building or dust and pest build up in your production facility our units can handle it all. Because our system is so neat we can work without disruption to business or inconvenience to customers and work within OHS procedures.